The Ultimate Collectible - Two Books Inside! 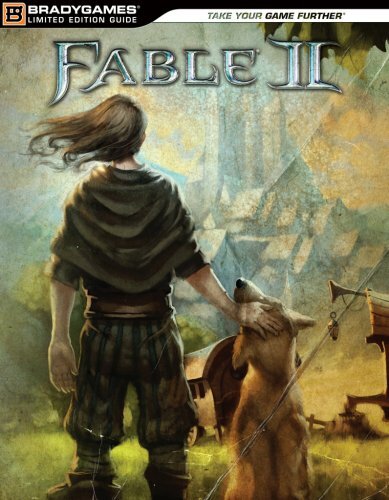 Exclusive Art Book Gorgeous concept art combined with commentary straight from the Lionhead artists provides a unique behind-the-scenes perspective about the inspirations, direction, and choices that brought Fable II to life. Signature Series Strategy Guide - Four Collectible Covers! Each Signature Series guide comes with one of four outrageous covers straight from the world of Albion! Strategy Guide Includes: ALBION ATLAS! Detailed data sections reveal Spotlight Homes and Businesses, Collectibles, Jobs, Pub Games, and More! COMPLETE QUEST GUIDE! Full strategy on completing the game and finishing Every Quest! GOOD VS. EVIL! Detailed morality tables indicate how each quest result will affect your Hero! EVERY SECRET! Gargoyles, Chests, Silver Keys, Dig Spots, Dive Spots, and Demon Doors! EXCLUSIVE DOUBLE-SIDED FOLDOUT! Complete Xbox 360 Achievement Listing with strategies and tips. LOADS OF EXTRAS! Happily Ever After Diary, Item and Weapon Lists, Developer Tips, Expert Boss Strategy, and Much More Platform: Xbox 360Genre: Role-Playing Game"